Washington: Aretha Franklin appeared dressed in a brilliant golden dress and high-heeled shoes aglitter with sequins for her glamorous final farewell at a Detroit church. 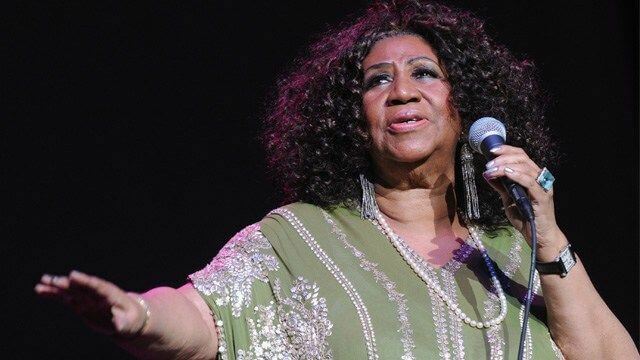 The Queen of Soul was transported to the Greater Grace Temple in the same vintage white Cadillac used for the funerals of civil rights pioneer Rosa Parks and the singer’s father, the Rev. C.L. Franklin, Efe reported. Aretha has worn different outfits at different ceremonies in her honor held in Detroit this week: a red dress on Tuesday, a blue one on Wednesday and pink on Thursday, when she was commemorated at New Bethel Baptist Church where her father was pastor. Former President Bill Clinton will be one of the speakers at Friday’s funeral, along with other notables such as former Attorney General Eric Holder, Franklin’s fellow music legend Smokey Robinson and the Revs. Jesse Jackson and Al Sharpton. The religious service will also be attended by many stars from the world of song including Stevie Wonder, Faith Hill, Ronald Isley, Chaka Khan, Jennifer Hudson and Fantasia. After the ceremony, Franklin will be laid to rest at Detroit’s Woodlawn Cemetery alongside her father and other family members. Franklin died Aug. 16 at her home in Detroit after a battle with cancer. She was 76.